This week we saw some bills related to conventional oil wells, HB 2673 – Creating the Oil and Gas Abandoned Well Plugging Fund. The bill will cut the oil severance tax on applicable wells (producing less than 60,000 cu. Ft. per day) from 5% to 0% but introduce a rate of 2.5% that goes to the newly created Oil and Gas Abandoned Well Plugging Fund. The bill passed House Energy and is on its way to House Finance. 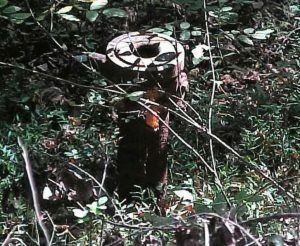 While this bill does add to moneys to plug current wells, it does not address the growing issue of more abandoned and orphaned wells. Dave McMahon of West Virginia Surface Owners Rights Organization (SORO) is working on legislation to address the 4500 current orphaned wells, and the predicted 10,000 additional orphaned wells over the next few decades. Proposed legislation will require “plugging assurance” in the form of a bond or escrow for each well rather than a blanketed performance bond. We want this assurance on new wells, wells transferred between drillers, and wells that are no longer producing in paying quantities. We expect the industry to agree to some bills that will provide money to plug a few of the orphaned wells!